Outpatient clinic volumes will increase as patient services continue the progression to the ambulatory care setting. While some healthcare organizations will look to additional ambulatory clinical space as a tactic to absorb this growing patient demand, most organizations have un-tapped additional capacity within their existing facilities. 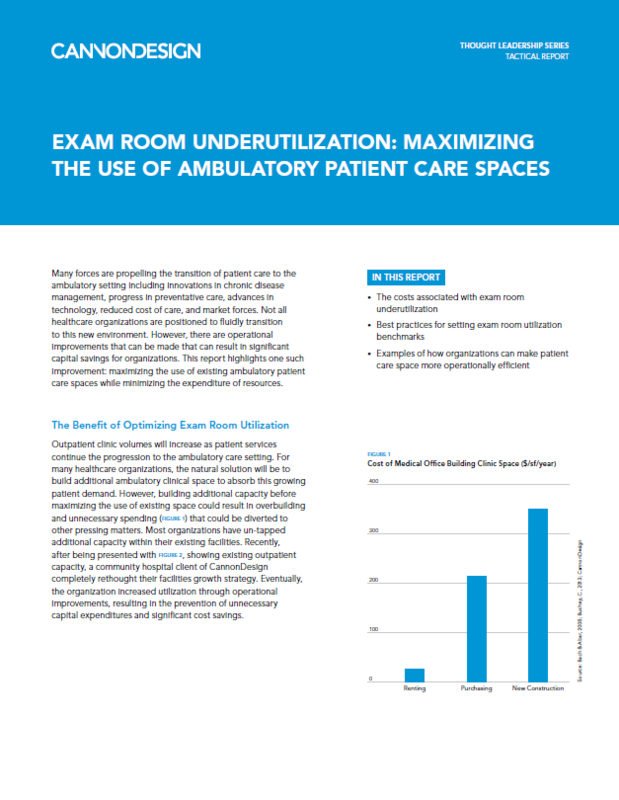 This report examines strategies for maximizing the use of existing ambulatory patient care spaces while minimizing the expenditure of resources.